(Author by the East Side Freedom Library) Not all pioneers traveled by covered wagons. Some arrived by jet planes. And just like Laura Ingalls Wilder’s Little House on the Prairie family, these modern settlers chose to put down roots in Minnesota. So who are our state’s recent trailblazers? On Thursday, January 18 at 7 PM, the East Side Freedom Library will screen a documentary, Hmong Pioneers, recounting a people’s odyssey from remote farms in Laos and refugee camps in Thailand to homes in Saint Paul, a world away from the life they’d once known. The 90-minute movie condenses four decades of the Hmong diaspora. During the Vietnam War, the CIA recruited the Hmong to fight as a Secret Army in Laos against communists. An estimated 30,000 Hmong people died during the 14-year war. When communists gained control of Vietnam and Laos in 1975, many Hmong fled to Thailand, ending up in refugee camps. From those crowded camps, the first wave of Hmong refugees began arriving in the U.S. 42 years ago. MN’s first Hmong refugee, Leng Wong, had worked with CIA in Laos and had strong English skills. Still, he and fellow Hmong needed to adapt to radically different culture, with new customs and frigid temperatures. 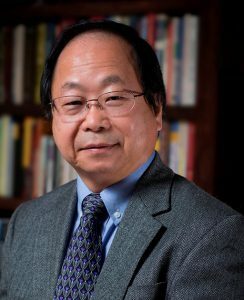 When Wong arrived in the Twin Cities in winter 1976, he assumed the area’s leafless trees had been destroyed by Agent Orange and that he was in another war zone. As Wong grew accustomed to Minnesota, he helped fellow refugees find their footing. Using a station wagon he’d gotten with help from his St. Paul church sponsor, Wong drove other Hmong to job interviews. He began working with a social service agency resettling Hmong. In time, the documentary notes that Hmong people established their own mutual aid organizations, including Lao Family, Women’s Association of Hmong and Lao, and the Association for the Advancement of Hmong Women in Minnesota. The Hmong also received help from federal, state, and local governments. The documentary recounts how Saint Paul officials welcomed Hmong newcomers, who moved into public housing that had been becoming less full. Minnesota’s governor and Saint Paul’s mayor each visited refugee camps encouraging Hmong to settle in Minnesota. Since then, Saint Paul has evolved into the center of the Hmong universe, as two people in the film note. Saint Paul has more Hmong residents than any other city in America. 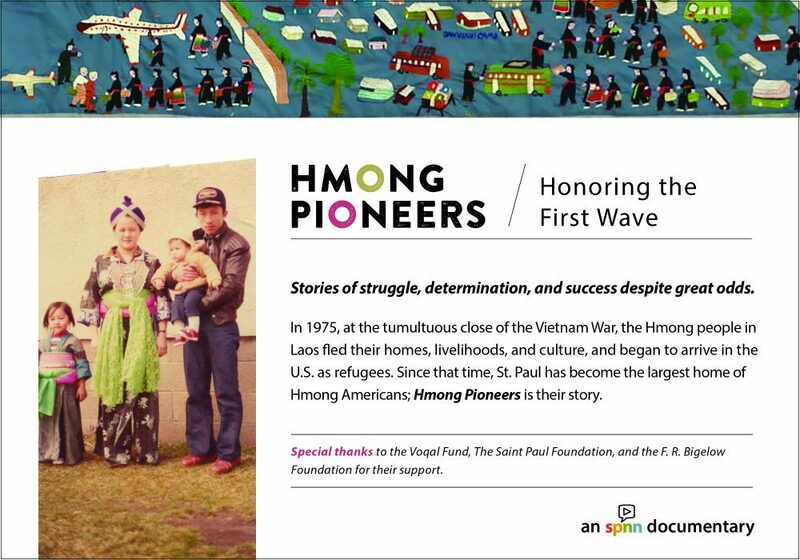 So it’s fitting that Hmong Pioneers, a three-year documentary project produced by Saint Paul Neighborhood Network in 2016, will air at East Side Freedom Library, in a neighborhood rich with Hmong people, and in a library that’s home to the Hmong Archives. Almost 20 years old, the Hmong Archives is the world’s broadest collection of Hmong documents and material objects. ESFL and Hmong Archives board member Dr. Brian Xiong hopes Hmong and non-Hmong people will watch the program. Xiong says those who aren’t Hmong can “get to see who we truly are”and that Hmong can learn more about the sacrifices the first Hmong pioneers made. Xiong’s mother was shot in the leg during a harrowing escape from Laos across the Mekong River. After years in a Thai refugee camp, Xiong and his family arrived in Minnesota when he was 10.